So it began. The tender sprouts of gray began to emerge in September of 2013, barely a shimmer of sparkling light as the sun passed over my bare scalp. I was on a trip with my son, just the two of us, when I shouted out in the hotel room one morning. “Come look. I think my hair is growing back! !” Sure enough, he confirmed that he too could see the tiniest spikes of hair emerging from the barren desert under my bandanna. Now at first I was thrilled. I swore that those new locks were coming in a lovely silvery blonde. And I managed to keep deluding myself in this way for a few more weeks. But the reality dawned on me fast and furious. I was not going to be a Marilyn Monroe bombshell blonde, but a Meryl Streep “The Devil Wears Prada” grey. 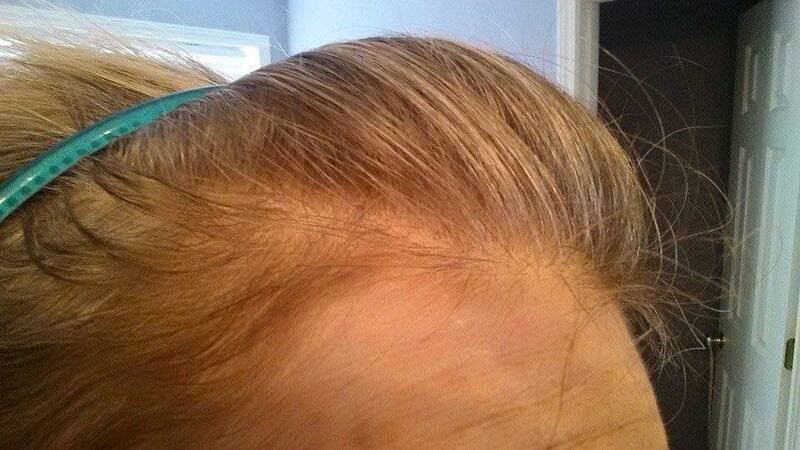 Yes, all those lovely blonde strands were silver! I’M GONNA WASH THAT GREY RIGHT OUTTA MY HAIR..
At first, I toyed with the idea of keeping my new hair. I got a lot of compliments. But, as you know if you’ve ever endured cancer, you just want things to go back to how they were before you were a patient. Back to ignorant bliss, and some sense of normalcy. So…I mentioned to my mom that I had decided to color my hair. 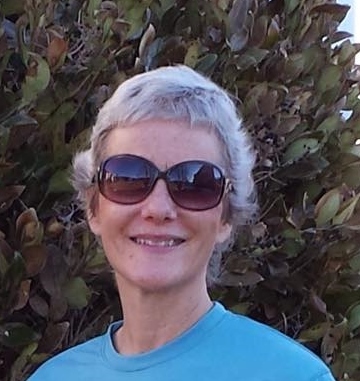 She found me a great stylist on a visit to Florida, and I was tickled pink with the result. There I was! Blonde and looking like my former self at last. Now, I’m not known for being the most practical person in the world. It dawned on me after the glow wore off that it is next to impossible to find someone who does good color, especially over all grey. So, what did I do? You got it. I trekked back and forth to Florida from Asheville about every three months to maintain my new look. I joked with Mr. Gary that he was the most expensive stylist in the country! Fast forward to September of 2014, which was the last time I was able to get to Sarasota to the salon. I’ve been meaning to do it, but my practice has picked up and there just hasn’t been time. I kept checking my hairline, just knowing that I would inevitably start to see the solid wall of grey appear. Meanwhile, I started using Young Living essential oils at the beginning of this year, both personally and in my practice, with phenomenal results. One of my absolute favorite products is the Ningxia Red super-antioxidant, essential oil infused drink that Young Living makes. Two samples came in my Premium Starter Kit, so I drank them and didn’t really give it much thought. C’MON I KNOW THE GREY IS IN THERE SOMEWHERE! If you’ve been following my essential oil series here on the blog, you know that my hair began to come in fuller and grow faster, especially around that front part area where so many “mature” women become follicularly challenged. In the past few weeks, it has occurred to me that it has been 7 months since I last colored my hair, and that wall of grey…well, it has yet to show up. Now I can still see some silvery strands woven throughout, but the most lovely shade of light auburn has started to appear at the roots. And that shade, my friends, has not been seen on this head since high school! What? The longer I use these oils, the more I am blown away. 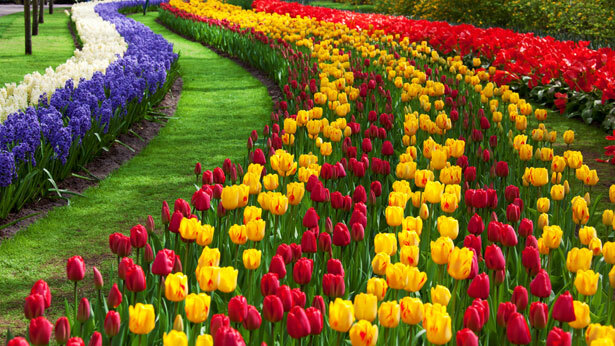 The effects with me are more subtle than for some because I am in pretty good health to begin with. Oh yeah, except the whole cancer thing. But when I do get a sign, it shows up in a powerful way. What’s the mystery behind erasing the grey? I don’t believe it’s anything mystical or other worldly. It’s a matter of nutrition. Ningxia Red is made from wolfberry puree with berries sourced from the Ningxia province in China, which boasts the largest per capita population of 100 year-olds anywhere on the planet. It has the highest antioxidant score of any food or supplement you can buy. ALL THAT AND A BAG OF CANCER PREVENTION (SORRY, CHIPS WOULD BE INAPPROPRIATE HERE)! In addition, this powerful combination of ingredients works together to quench free radicals and prevent the cell damage that leads to mutations. And, it boasts a full and natural complement of key enzymes, vitamins and minerals that are easily absorbed. The best part? Well, other than the giant dose of nutrition and the great hair. This is better than juicing! You heard me. I have a brand new juicer that has sat untouched since I started drinking this stuff. Why? Because I don’t like juice unless it has some fruit, and even though it’s healthy, it delivers a whopping dose of sugar straight to the bloodstream. 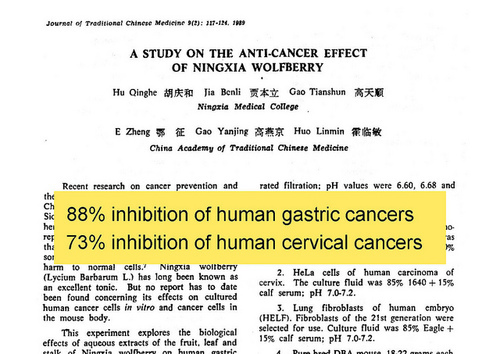 This is exactly what I’m trying to avoid as a cancer survivor, feeding the cancer cells their favorite food, sugar. 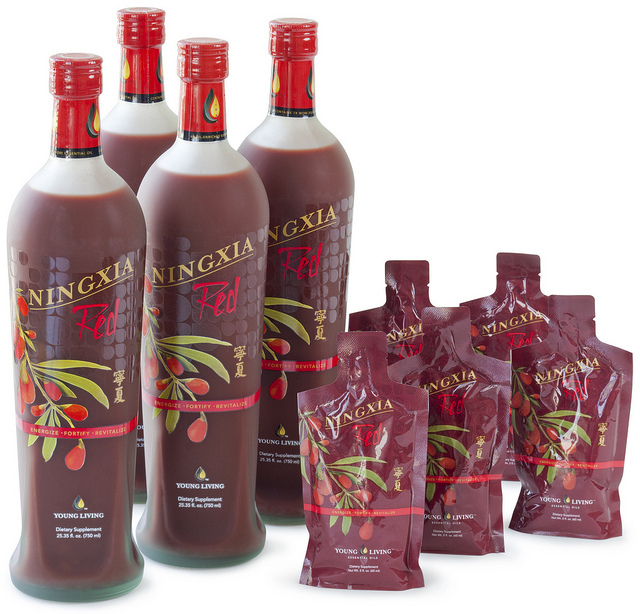 Ningxia Red is sweetened with stevia and has only 2 grams of sugar per serving! If you’re ready to feel stronger, sleep better, and give yourself a brand new lease on life without eating 12 heads of broccoli (don’t yell, vegans, I love broccoli), click here to get started on your own journey. Warning, feeling good is addictive! This entry was posted in Alternative Treatments, Diet, Essential Oils, Hair Loss, Supplements and tagged Alternative cancer treatments, Alternative medicine, antioxidants, breast cancer, cachexia, cancer diet, cancer nutrition, cancer supplements, chemotherapy, clean eating, grey hair, Hair loss, natural remedies, nutrition, radiation by lmarieallen. Bookmark the permalink. My friend, I am so glad you post all this info! I have been so busy and so stressed, I have not even opened most of my starter pack. 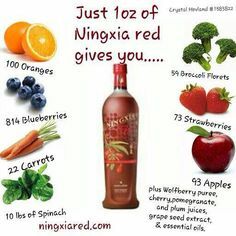 I had no idea the Ningxia Red was even in there. How sad is that??? Anyway… a few questions… it says “2 servings per packet”… can I drink both at the same time, or should I only drink half? Do I need to refrigerate it once it’s open? Do you have any issues with stomach distress when ingesting the oils? I had a bad reaction to one of the oils that said “put a drop in your water”. (I think I will wait until my work travels are over to try it, just in case.) My hair is not gray, but I sure would love a little auburn highlights! Hope it does that for me! (I’ve tried so hard to add red highlights and they never work!) Thanks again for the info! Hi Michele😊 I’ve only had a little discomfort when I put peppermint in my water. Nothing terrible, but that’s a warmer oil, so I prefer the lemon or citrus fresh in beverages. Which one did you try and what happened? As for the Ningxia, it’s great stuff! The oils in it are very diluted, so you should be fine. I take one serving per day and refrigerate it; some people take a serving in the morning and another before bed. It would actually be helpful traveling because of all the germs floating around. I always carry Thieves, Lavender and Stress Away while traveling, along with my diffuser for the hotel room. Every night I rub Thieves on the bottoms of my feet for immunity and put the others in the diffuser for sleep. I also carry Stress Away to rub on my temples and wrists for any daily tension with work. So, go ahead, throw that Ningxia in the fridge and drink up! Also, I invited you to an Essential Oils basic class on Facebook tomorrow night at 7. I think it would be really helpful to get you feeling more comfortable with using your oils. I will try to attend. Depends on what time I get home from Hartford (3 hour drive). It was definitely peppermint. I got very distended and uncomfortable.